As a kid, that was the pinnacle of model kits. When I finally got it and completed it, I thought I had just finishe the most awesome kit a kid could have. Funny thing is, I didn't paint my kits back then since they were "molded in color" and couldn't understand why a friend of mine thought I was a total knucklehead! I still have the motorcycle rider from this kit somewhere. Been with me since '78 or so. Ah, that's so cool CharleyGnarly! I know, right? Hi Tony, Thanks for the comment. 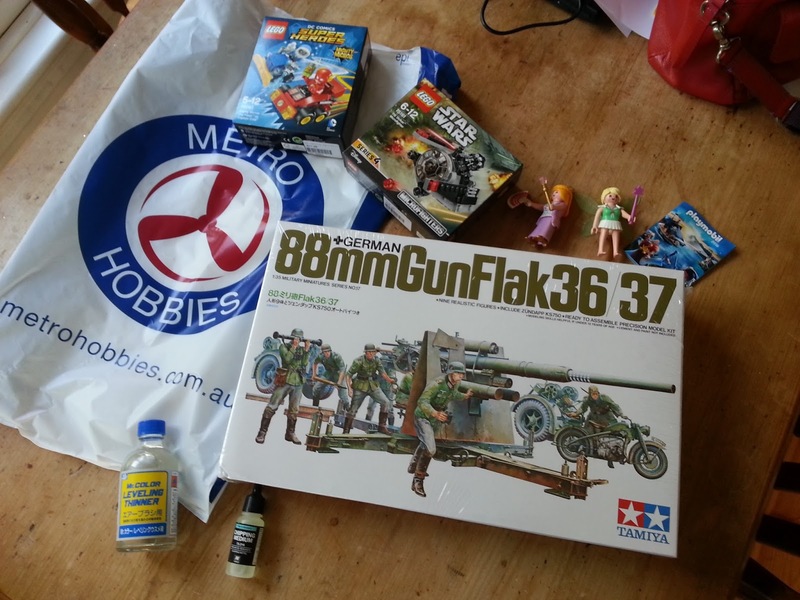 Sadly, the Metro Hobbies shop near Flinders Street station recently closed due to a rail tunnel redevelopment :( But the other downstairs one you mentioned, Hearns Hobbies, is still going strong.